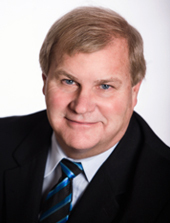 John Knubley became Deputy Minister of Industry in September 2012. His previous position, beginning July 2009, was Deputy Minister of Agriculture and Agri-Food. In 2008, John served as Deputy Minister of Intergovernmental Affairs at the Privy Council Office. Prior to this, he was Associate Deputy Minister for Transport, Infrastructure and Communities and Associate Deputy Minister of Natural Resources. John joined the Privy Council Office in 1994 as Director of Operations, Intergovernmental Affairs. From 1996 to 2002, he held several positions at Human Resources Development Canada, including Assistant Deputy Minister of Corporate Affairs and of Planning and Employment Insurance. In 1990, he was appointed Director of Strategic Investment Analysis at Investment Canada. In 1992, he became Director of Microeconomic Analysis when Investment Canada became part of Industry Canada. From 1985 to 1990, John worked at the Federal-Provincial Relations Office. His career in the public service began in 1980 at the Economic Council of Canada. John has a B.A. from Yale University and a Master of Philosophy, Politics and Economics from the University of Oxford. He also obtained a post-graduate diploma from the Institut Européen des Hautes Études Internationales in Nice, France, as well as a Master's degree in Public Administration from Harvard University's Kennedy School of Government. John also worked in the private sector for Thomas d'Aquino and Intercounsel Limited.